On the back of his Shanghai Diamond League victory Phillips Idowu (GBR) made it two wins in a week with a 17.31m victory in the Fanny Blankers Koen Games in Hengelo. 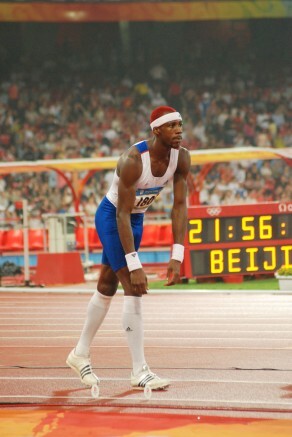 Mario Forsythe (JAM) placed 2nd in the 100m in 10.25 with Kimmari Roach (JAM) 4th and Mark Lewis-Francis (GBR) 6th. Schillonie Calvert (JAM) clocked 23.05 secs for 4th in the 200m while Gideon Gathimba (JAM) posted 3:34.14 for 7th and Tom Lancashire (GBR) improved to 3:38.00 in the 1500m. Andy Turner (GBR) won the 110mH in the European Clubs Championships in Portugal in 13.40 secs. In the IAAF World Challenge meeting in Rabat Chris Tomlinson (GBR) opened his 2012 season with 8.01m for 3rd in the long jump. Nancy Chepkwemoi (KEN) placed 4th in the 1500m in 4:09.41 with Phanencer Chemion (KEN) running a PB 9:35.31 for 4th in the 3000mSC. In her first race outside Kenya Magdalyne Masai (KEN) improved her PB to 15:28 in the 5000m. At the Golden South Classic meeting in Orlando Abi Oyepitan (GBR) won the 100m in a time of 11.21 secs. In Oordegem, Belgium Rhys Williams (GBR) improved his season’s best in the 400mH to 49.45 secs.